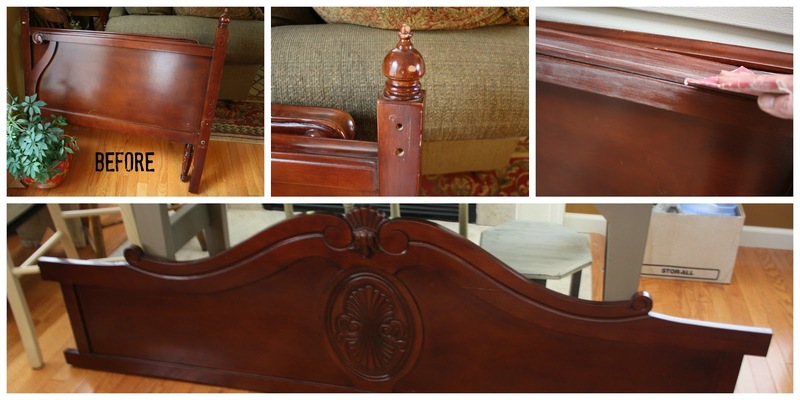 I've been in the market for an antique sleigh bed for my guest room. But I haven't had any luck finding one that is the right size and, more importantly, also fits my budget. So although it's not a sleigh bed, when I spotted this daybed I snatched it up. The size, shape, and price were perfect. I may have done a happy dance when I slapped down $30 for it! As I mentioned it's not an antique. Instead it's a modern day piece and is a manufactured wood product made in China. It had a shiny finish with a lot of surface scratches. 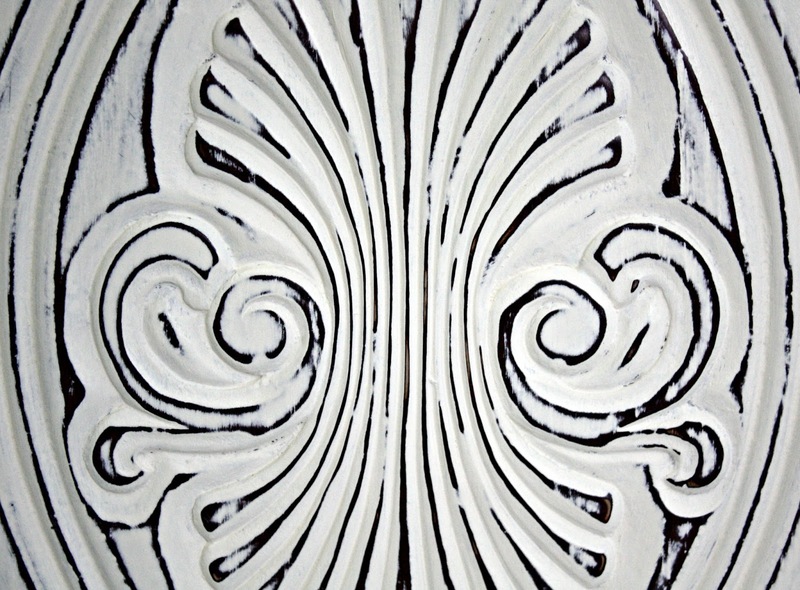 I scuffed up the surface slightly with 220-grit sandpaper to help the Chalk Paint adhere to the finish. 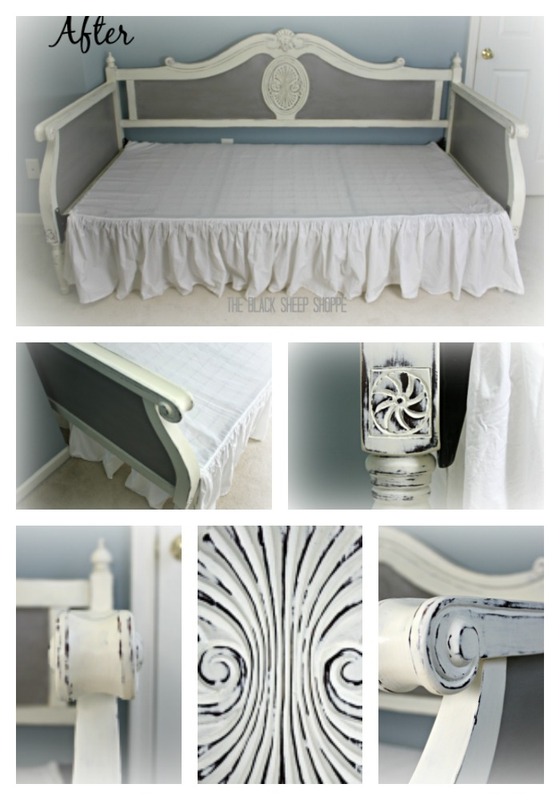 I initially painted the entire daybed in Old White, but decided that it needed a little more drama. Initially painted in Old White. I later added French Linen to the panels. So I added French Linen to the panels. I sanded and distressed the paint along the edges and sealed the entire bed with soft clear wax. I added French Linen to the panel sections. 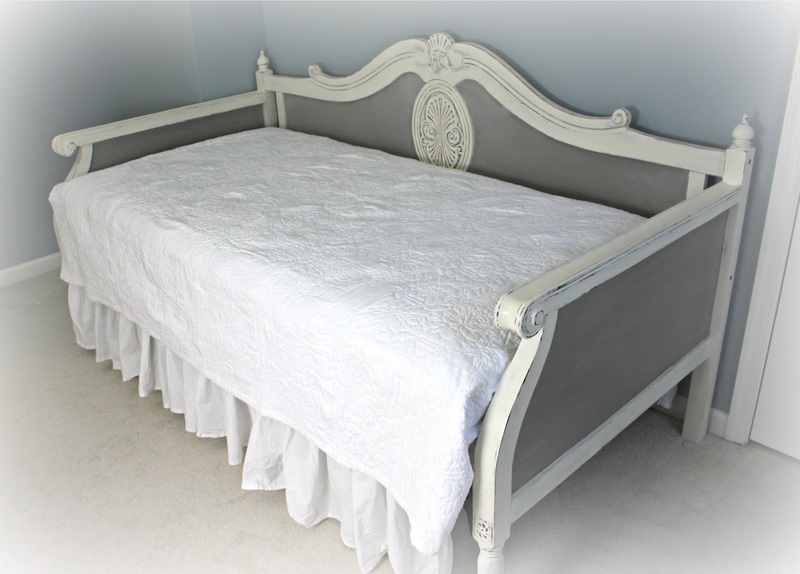 I chose a color scheme of French Linen and Old White (Annie Sloan Chalk Paint). My guest room is currently painted blue, so I think I will need to re-paint the walls to better coordinate with the bed. 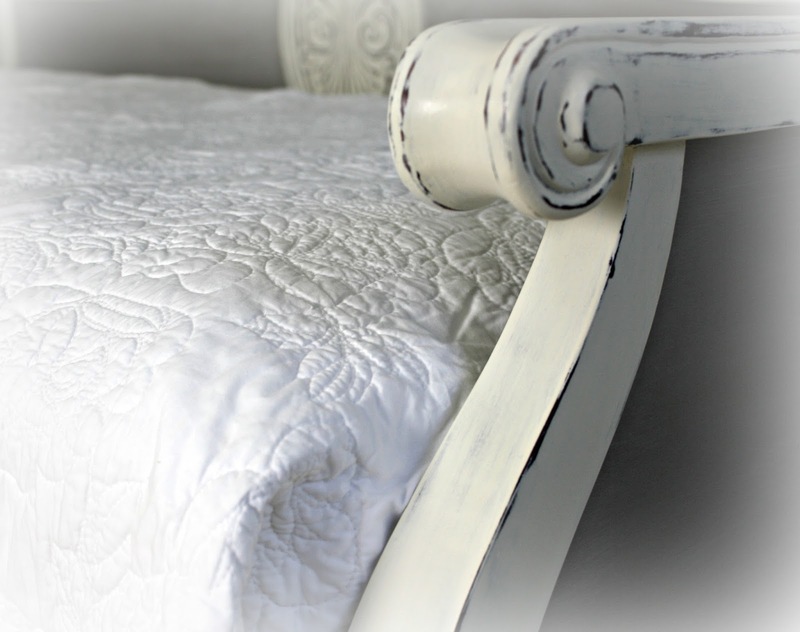 I dressed the bed simply with a dust ruffle and white quilt that I already had on hand. I'm looking for something else, but for now it works. Curved side panels next to white quilt. I applied a white wax to the French Linen. To be honest I'm not happy with the end result on this piece, so I'm going to dry brush French Linen to the panels of the headboard to soften the effect. 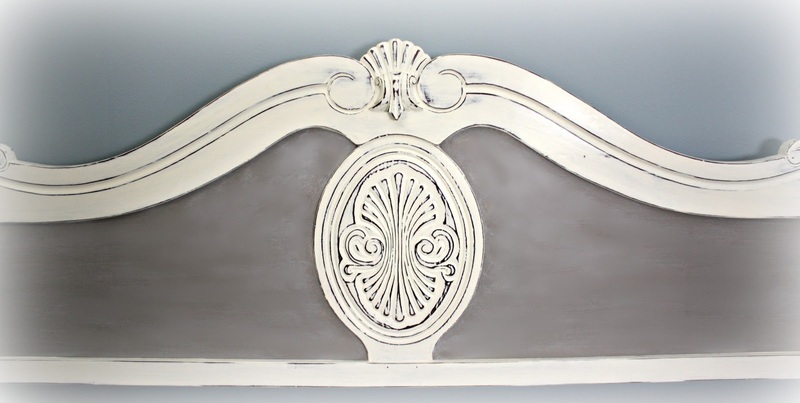 The carved medallion is one of my favorite parts of the bed. 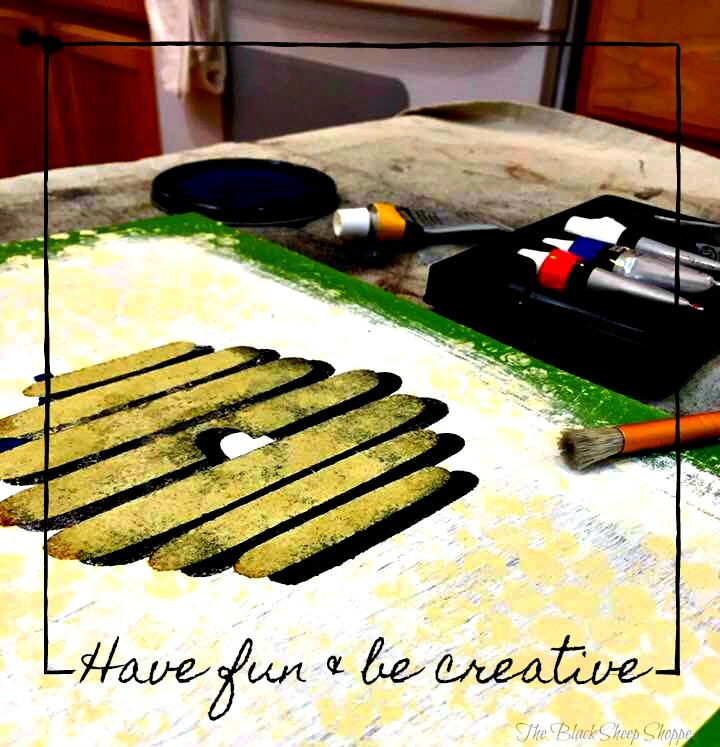 I distressed it with sandpaper to make the details standout. Another of my favorite parts is the curved sides. It eliminates the hard edges and gives the piece an overall elegant feel. 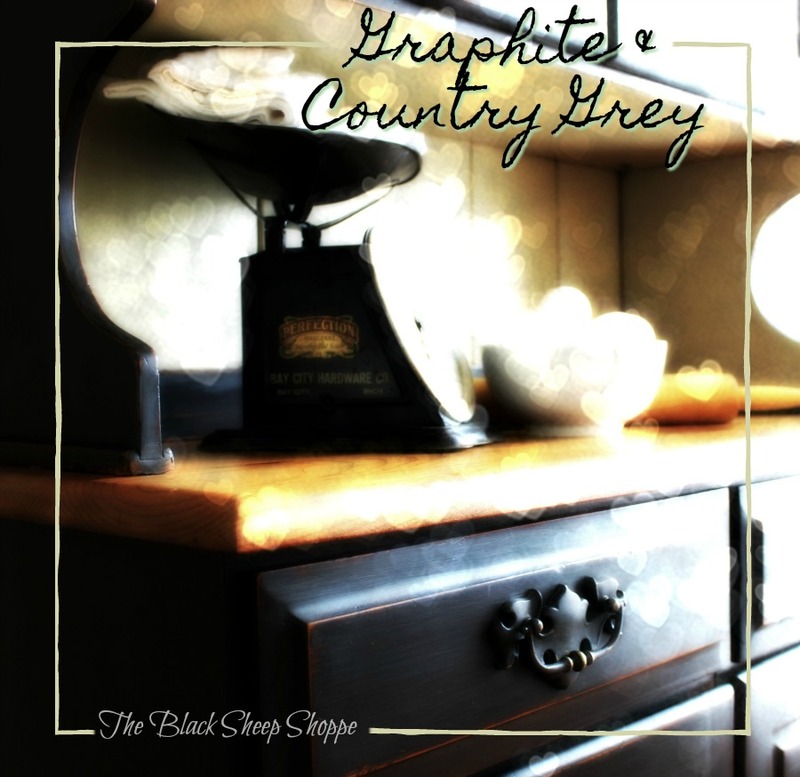 Thanks so much for stopping by my blog post today! I welcome any suggestions you might have for how to dress the bed and paint colors for the walls. 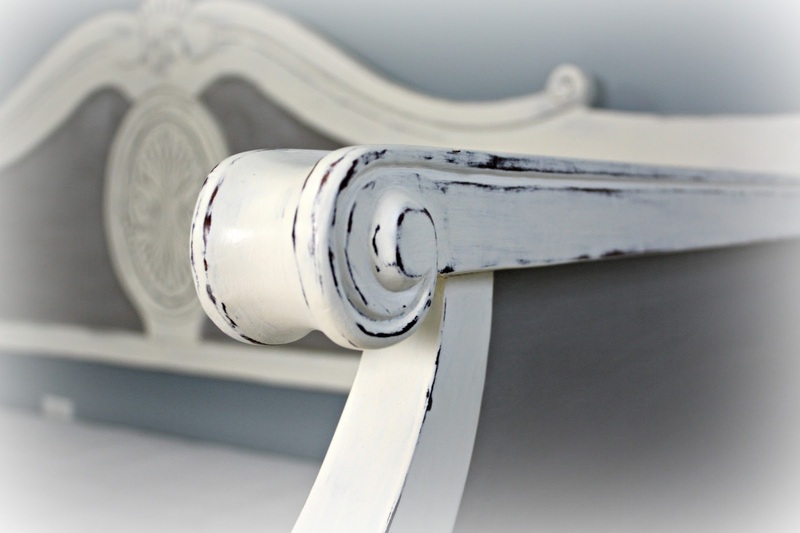 Chalk Paint by Annie Sloan Paint (Old White and French Linen), Soft Clear Wax, and White Wax. Click on the link to find where you can by her products from local stockists. Some stockists also ship via online orders. Flexible sanding pad These come in a box of 20, but I cut them in half so I get 40! One box will last for a very long time. The pads also come in a superfine finish for even smoother results. Lint free rags for wiping off excess wax (you can use t-shirts, but since I sell my furniture I don't like to use old clothes on my projects). These can also be used to buff the wax. Quilt and dust ruffle I had on hand, but I think I purchased them from Target.